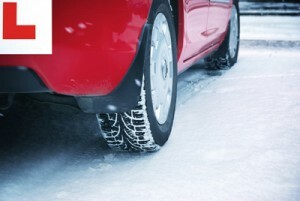 Bad weather such as snow and ice can result in lots of cancelled driving tests. If there’s snow or ice in your area on the day of the driving test, you can phone the driving test centre to check if tests will still be going ahead. Scroll down the page to see the list of Driving Test Centre Phone Numbers. Call as soon as you can if it’s an early morning test, or later in the morning if it’s an afternoon test. If you can’t get through to anyone at the test centre and conditions aren’t too bad, it may be that the examiners are still conducting tests. If this is the case, the candidate will still need to attend for test as normal to avoid losing their driving test fee. If the DVSA cancel the test, the candidate will get a replacement test free of charge. Out-of-pocket expenses won’t be reimbursed by the DVSA where driving tests are cancelled because of bad weather. That is why it is important to use the driving test centre phone numbers list to call ahead. You can expect waiting times for test appointments to increase during spells of bad weather. Even though candidates who have had their test cancelled will normally be notified of a new date in 3-7 working days, the new date may be some time off. We have created a list of local test centre numbers below. This list is being updated on a regular basis. If you know of a test centre number that isn’t listed below (or if you notice one has changed or is incorrect), please leave a comment below or fill in our contact form and we will add it to the list. Full contact details for DVSA (including opening times) are listed here. Find Driving Test Centre Phone Numbers for your area! Sheffield has two test centres, Middlewood Road (Tel: 0114 234 4008) and the new Handsworth which replaces Parkway, now closed. Handsworth telephone number is 0114 2692825. Will get Airdrie test Centre no and E-Mail it to you. That’s because we don’t have the number, Dave 😉 Do you happen to have it so I can add it to the list? Hi, Rotherham TC is 01709 838756. Thanks for creating this list Ged & Claire, and please to say the numbers for my locate test centres are all there so will be very handy should I ever need to contact them, especially as the DSA do not seem to readily publish these numbers.